You just can't make this stuff up. LSU fans were chanting "Free Will Wade" and booed Alleva. How stupid and pathetic can a fan base be? It is that clear and clear-cut. I could see if they suspended him with no proof and just did it off of a rumor. I thought we were bad during the Bruce Pearl mess. But nothing like what LSU fans did last night. That crowd was truly a very bad look. "Hey look at us, we're victims here." LOL Y'all clearly don't know nothing bout the state of LA. My mom is from there and I have family there... Let me say this, the great folks of Tiger nation elected a governor (Edwards) for a third and fourth term after he said in respect to the legality of some cash donations ( paraphrasing) It was illegal for them to offer but not illegal for me to receive. This was in response to a question regarding campaign contributions, racketeering, etc... and subsequently pulled federal time for misunderstanding election law. Many LSU fans are completely delusional. There’s always some conspiracy to bring them down. Not alot of intelligence down that way.When corn dogs and road kill are part of your staple food group and you think coach O talks normally. I don’t blame the fans until the NCAA decides to clean up the sport and run it fairly. “The only way I lose this election in be caught in bed with a live boy or a dead girl”- Edwin Edwards before being elected Governor of Louisiana. he got suspended because he refused to meet with the administration. How many people would get fired for refusing a mandatory meeting with your boss? Be honest here...if Barnes was accused of the identical thing, we wouldn't have Vol fans saying "free Deacon Barnes?" Friend of mine has told me before that Edwin Edwards was Donald Trump before Donald Trump. I mean, that phone call was very damaging. I know you are innocent until proven but its a little ridiculous when they catch you coming out of the store at 1am with a TV on your shoulder. The guy referenced other deals that had gone smoother in the tapped call. If Barnes did that, and it was announced this week, I would want him fired. If you read the LSU boards they are basically fine with it. Get the championship on the books and worry about charges later. They need to pay the players something more than a stipend and kick some schools out of the NCAA when found guilty of buying players. Keep in mind this is LSU basketball we're talking about, not football. 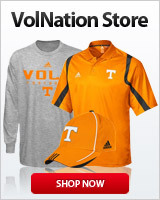 I think their fans would be much more somber if this was football - they're a football school and that's the cash cow. Basketball is a little bit different. LSU has had some good basketball teams in the past, but the success has been spotty and they certainly don't expect or demand to have a good basketball team. It's just kind of a nice surprise when it happens. They know that the basketball program is going to be nailed with sanctions/probation for years and Wade is toast, but hey, it was worth it. Everybody saw them win those games, and all the money has been made. They have nowhere near as much to lose from a scandal affecting their basketball program. Well, in some cases yes, but Edwards made what money he had skimming $ of Govt contracts and hustling donors. I once had a friend on the New Orleans Convention Center Board who had a 2pm meeting with Edwards at the governors mansion. Edwards was 30 minutes late, arrived in a house coat, asked his clerk to check how many Super Bowl tickets the Convention Center would guarantee him if he supported their appropriation. Once he got what he wanted, he left and the Convention Center got their $. I wouldn't agree with "wanting" him fired, but I wouldn't be able to argue against him being fired. Just think back to Bruce, we didn't want him fired, but knew it had to happen. Even then the BBB movement was strong up until last year's success. Edwards was a lawyer, made his money off being a politician. Completely different than Trump, whether you like him or not. I (and my friend who said this) is talking about Trump the politician, not Trump the businessman or reality TV star. There are a lot of things in common between Trump the politician and Edwin Edwards. Bruce lied to the NCAA. Bad but quite different than outwardly buying players. I say players because he mentioned other deals that went smoother. If the NCAA questions Wade about it, what will he do? Will he lie or tell the truth? Either way he is toast. I thought Bruce deserved punishment, not banishment, for his wrong doing. Will Wade has much larger issues than worrying about telling the truth to the NCAA. Like not perjuring himself in Federal court. You miss the point. Trump isn't a politician, he is a business man/TV reality star elected to political office. Knox County, TN has the same in Mayor Glen Jacobs who is a professional wrestler/business man elected to political office. Edwards was one crooked son of a gun but a heck of a politician. A better comparison would be Edwards and Bill Clinton. Both were ladies men and could sell you a 54 Studebaker and convince you it was a Cadillac. There are a lot of things in common with Edwin Edwards and the Clintons also. How do you think the Russians got 51 percent of our plutonium? He refused an initial meeting with LSU admin because an NCAA rep was going to be present. He also has been subpoenaed to testify by the FBI. He rightly should not agree to talk to the NCAA berfore talking to the Feds. Either way he is toast here.